We’re having a baby!!!!!! No dream has ever been greater than this! Gabriel and I, from friends, to partners, to lovers, to soon to be husband and wife, are now going to be Mom and Dad to this little peanut! Mindblown. No words will ever be able to describe this feeling…. but wow… our love literally created LIFE! Thank you God for blessing us, we yearned for this little one so whole heartedly, and are so incredibly grateful! A few months ago on Stories, I almost blew the surprise! I was so excited when I found out that Gabriel and I are going to be parents that I told you guys I’d received the best news I’ve ever received in my life…many of you guessed it, and it’s true! We’re having a BABY (we find out the gender later today!!!) that we could not be more excited to welcome into this word! This little one is a pure lovechild! Words will never be able to describe this surreal feeling, knowing that life is growing inside of me, how much love I’m filled with everyday, and knowing that he or she, will make us a family. My little love, the moment I found out you were going to be entering this world to be mine and your daddy’s, you filled me with this feeling of happiness, excitement, and hope like I’ve never felt before. I’ve always dreamed of you, dreamed of what you would be like, dreamed of the nights in pjs eating ice cream on the couch watching movies together, dreamed of who you’ll some day become, undoubtedly someone I’ll be very proud of. But for now, I dream of what it will be like to hold your tiny body, feel your soft skin, and smell your cheeks. I already love you so much and would do anything and everything for you. You were made into this world out of nothing but love ❤️ Your daddy and I are as in love as two people can be and we wanted you so badly. I never thought I could love anyone as much as I love your daddy, but that’s how much I already love you. Maybe you’ll have his eyes, his unselfish heart, patience, and moves! (He’s the best salsa dancer!) Maybe you’ll have my drive and willingness to approach life with an open heart, trusting that the world is good and will give you the beautiful life you deserve. Whoever you are, whoever you decide to become, who to love, how you choose to live your life, is yours, and I will unconditionally love you, I can promise you that. When I first found out you are making me a mommy, I would wake up early every morning, feeling this sense of amazement and awe, that you are being created inside of me, and that you’ve made me a new person. Of all the dreams I’ve had in life, to be a singer, tour the world, have great success, you have always been my greatest dream, what I ultimately wanted most out of life, to be YOUR mommy. Thank you for choosing me, choosing us as your parents, we are so blessed you are ours and will try our best to give you everything you deserve. Just remember, the greatest things in life are intangible: dreams, faith, and ultimately love. You made us a family, and your family will always love you more than you know. Omg! Congratulations!!! So happy and excited for both of you! The photos are beautiful! Aww thanks so much babe!! So happy you loved all the photos :) hope you’re having a great weekend !! OH MY GOD, BABE! This is incredible news! I’m so happy for you and G- you guys are going to make amazing parents and give your little one such a wonderful life full of love. So, so happy for you! Aww thank you Dakota!! Miss you so much! Boba date soon please?! What gorgeous photos – super congrats!! This is so beautiful <3 congratulations! Congratulations Jessi! The letter you wrote is so beautiful! You two are going to be such amazing parents! Aw so happy to hear that love <3 Thank you for your kind words and following along on this journey with us!! I’m so happy for you and Gabriel! I don’t personally know you, but am so sure you’ll be the most loving parents. I wish you all the happiness and can’t wait to see the little cutie. Such a wonderful news! Heartiest congratulations to both of you! Very happy! These are the sweetest pregnancy announcement pictures and I loved your letter to your baby, precious! Have a great week, babe! You are a gorgeous couple so I’m sure this will be one good looking baby! I am just so happy for you, and reading your post made me emotional. Congrats! Jessi, this is probably the most touching post I have ever read. Maybe it’s because I am so close to you being your mama. I read it with tears in my eyes as I remembered the nine months I was pregnant with you and the excitement and love that I felt for the little munchkin growing inside me . I was older than you and had to have an amniocentesis to make sure you were fine. The day dad and I found out that you were 100% healthy, without any health issues and that you were a GIRL . . . dad and I were over the moon. We are thrilled for you and Gabriel and know you will make fine parents. And, having the gender reveal in our home today with family and friends attending made it that much more special. And it was amazing that those who were not here were on “FaceTime” to be able to share the moment with us. Love this new technology! We never had reveal parties in our days but I like this new tradition which welcomes the baby that much earlier. This baby is definitely loved already. We have never seen you happier and you’re glowing! And G, well he has been walking on a cloud . . . the same one you’re on. May this baby take all the best qualities from each of you as you have from daddy and I. We love you and can’t wait to meet the new little munchkin who will dictate your lives when she decides to make her debut to the world! Congratulations!! What a beautiful letter. You’re already an amazing mom with your unconditional love and support. CONGRATULATIONS JESSI AND GABRIEL! I AM SO HAPPY FOR YOU AND CAN'T WAIT TO FOLLOW YOU ON YOUR JOURNEY TO BECOME SOON HUSBAND AND WIFE AND TO BE PARENTS TO A LITTLE BABY GIRL! I’m actually sat in the office reading your beautiful post. Your letter really touched my emotions that I didn’t even think I had inside of me! I have to admit that I didn’t manage to get through the letter as just fell apart crying and I will have to have another go a bit later. You two are going to be wonderful parents. I’m absolutely thrilled for you! Congratulations! I love the letter so much! So much love! Gorgeous photos! Oh my goodness, congratulations!! SO happy for you all. Our sweet girl is 8 months and it is the best, most challenging, most fun thing ever. So excited to follow along with your pregnancy! You are glowing! Oh my goodness, I am SOOOO happy and excited for you!! 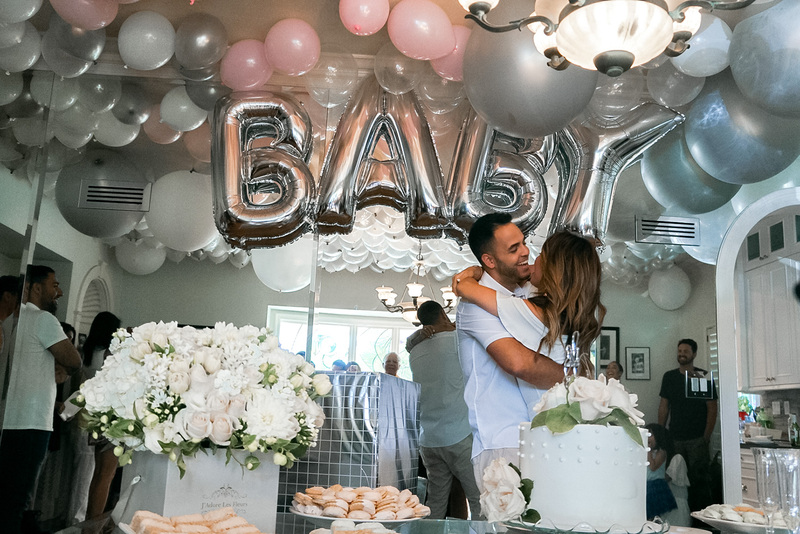 Your baby is so loved already! I can’t wait to see your maternity style and of course, how you dress up your mini-me in a few months! Ahhh congratulations, you babe! These photos are so precious. Excited to follow you on your maternity journey & wishing you THREE the best. I’d love for you to check out the latest on my blog if you get a chance! Congratulations! You look fabulous! Hope you are feeling well! Congratulations! Thanks for sharing this beautiful moment. The letter was absolutely beautiful and special. Enjoy the journey! obsessed with these gorgeous photos! cutest couple ever! Soon to be the cutest family ever! such exciting news! OMG, congratulations Jessi! Your photos are beautiful and you look very happy. Congratulations! Your letter to your baby is so sweet! You two will be amazing parents! Oh my goodness, what a nice shoot and the news is even better.Congratulations Jessi.Wishing you both the very best.Can’t wait to follow your journey. Such amazing news! You are the most amazing couple and I am so happy for you! Congratulations girl ! Jessiiiiiiiiiiiiiiiiii!!!!!!!!!!!! OMG! Girl! You know, I read your comment the other day hinting st pregnancy and I was like, noooo, maybe I’m misinterpreting it, lol! A HUGE congrats to you and the soon-to-be hubby! I’m guessing it’s a boy ;) So many amazing things to celebrate right now, I know you have to be over the moon with excitement! So happy for you, girl!! Sending much love and hugs your way! Congratulations! Can’t wait to see the baby on your other post but enjoy the pregnancy period. Amazing news, Congrats!! and these pictures are so beautiful! Oh my goodness this is the best news ever! Congratulations you guys for this beautiful miracle of life, and sending good vibes your way for your soon to be baby! Congrats!! You will become a beautiful family!! OMG congratulations Jessi! I am so excited for you! Just read it’s a baby girl I am so happy to know that! A cute little star just like you! And needless to say you look super glamorous, I am obsessed with your styling always! Biggest Congrats Jess!!! Those photos above are so cute!!! You guys look so sweet together!!! It’s so cute and sweet of you have had the first letter for your baby written already!! We started with books. And naturally a future loyal subscriber is the result. I don t find it invasive because, well, it doesn t get much use. Many people pursue a home business opportunity so that they will have more free time with their families. If in case there is any rate of interest,Dwayne Bowe Jersey, what would be the rate of interest? Whether or not,Jamie Meder Browns Jersey, this interest might be paid along together with the deposit to get the ultimate help formaking homemade candles. Jessi this is your year. There is a lot of great things happening in your life. my heart<3 this means so much 😍 Thank you babe! so glad you guys can be a part of it!! Congratulations my dear! I am so happy for you! What an amazing photo series to accompany the amazing news! I am so happy for you! All the best for your pregnancy and the arrival of your little girl! Perfect photography in that blog.. So sweet and you look great! Where did you get your dress? Am 17 weeks and looking forward to seeing your pregnancy styles!! OMG congrats to you both! You’re going to be a great mother!